In the past smoking was not a big issue or problem. Smoking becomes common thing for adult people, especially for men. They have many reasons to smoke. However, nowadays smoking has increased in many different ways. 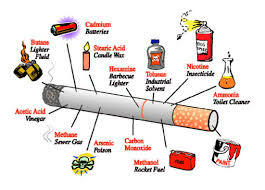 There are several causes and dangerous effects of the increase of smoking. People start smoking for a variety of different reasons. Some people think it looks cool. Others start because their family members or friends smoke, so they feel curious about how to smoke and how the taste of cigarette. Another reason is when people feels stress or have a lot of free time, they will fill the time with smoking, because smoking make them relax. And the main cause is so many cigarettes advertisement. Almost all public places have cigarette banner, cigarette companies are have allowed advertising on TV, radio, and in many magazines. Therefore, it’s hard to deny the smoking and smokers. 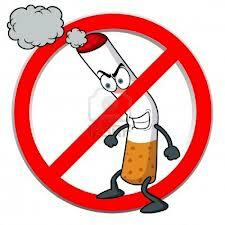 As a consequence of smoking, they must face many negative effects from smoking. The biggest danger effects are lung cancer and mouth cancer, because cigarettes are contains many harmful chemical substances. If they get effects from smoking, they must take care for their self then. They have to do medical treatment for their healthy. It makes them lose time for their family. In other hand, smoking needs money to buy the cigarettes. Moreover, when they sick because of smoking, they needs a lot of money to pay the medical treatment and the medicine. In Conclusion, smoking is a very bad habit. Many people have died from smoking. All these effects should be enough to lead anyone to leave smoking. The government must have wise solution and be firm to get rid of it.